Candy, cakes, sodas, and sports drink are all part of the average Americans diet, but do you really know what you and your children are eating? The only way to be sure your family is consuming healthy foods is to read labels and understand what exactly what they mean. The information listed below will help translate the information listed on an ingredient lable. There are two classifications of artificial coloring used in foods these days. Artificial colors are utilized to enhance the colors of the foods we eat making them look more appealing to the eye. Unfortunately, most artificial food colorings have harmful side effects to the people and animals that ingest these unnatural food products. 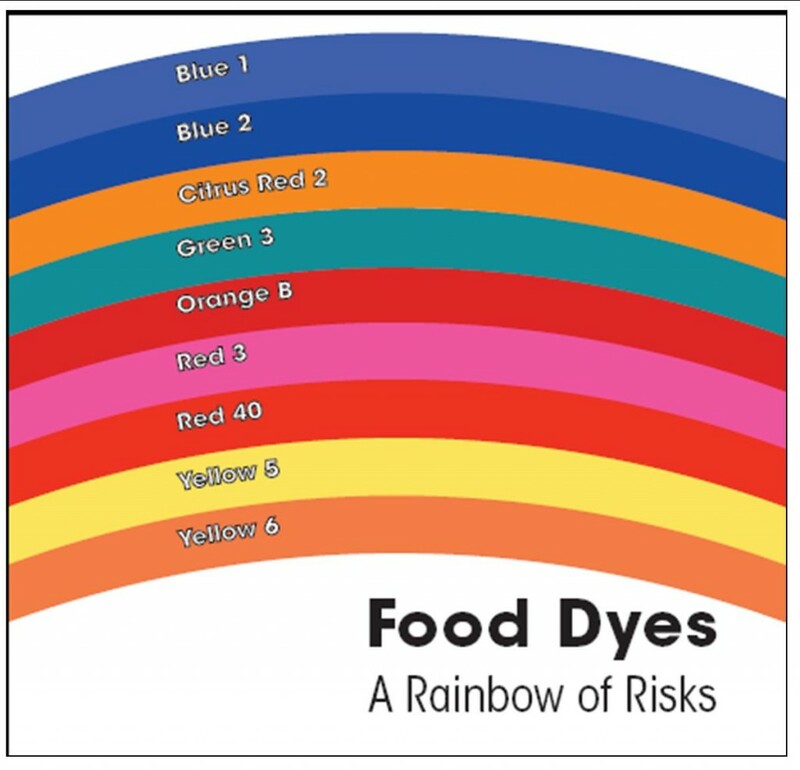 Food Dyes-Food Dyes are water soluble, dissolve easily and are frequently used in beverages, baked goods, sugars, dairy products, and pet foods. Lakes-Lakes are water insoluble dyes. Lakes are for coloring products containing fats and oils or any items lacking ability to dissolve food dyes. Typically lakes are used to color hard candy, cake mixes and flours as well as chewing gums. Brilliant Blue-is used in mouth wash, ice cream dairy products, candy, icings, soaps and shampoos. Brilliant blue may induce attacks in persons suffering from asthma, and has been proven to cause hyperactive behavior in children. Green 3-is utilized in sodas, juices and candy and sports drinks. 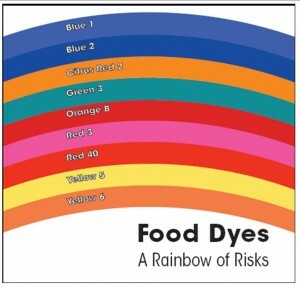 This dye has been associated with bladder tumors and hyperactivity in children. Red 3-was voluntarily removed by most manufacturers after it was proven to cause thyroid tumors. Red 40-was originally manufactured from coal tar just like yellow sunset however it is now manufactured from petroleum. It is found is soft drinks candy deserts, dog foods and pharmaceuticals. Red dye is not recommended for consumption by children due to its link to accelerating and causing hyperactivity.